**NOW PRICED TO SELL**The Highly-Coveted A-Line**PRIVATE STORAGE INCLUDED**Largest 2 Bedroom at Huys Condominium**2 Massive Walk-In Closets & Separate Dining Area** Welcome Home: Measuring nearly 1,700 square feet, Residence 12A at 404 Park Avenue South is an exceptional blend of ample space, brilliant design & PERFECT location in the heart of ever-growing NoMAD. 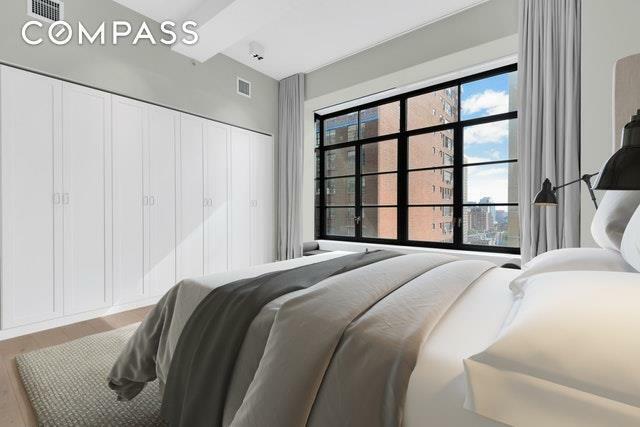 Offered for the first time ever since its initial purchase, this 2 bedroom, 2.5 bathroom masterpiece delivers dramatic 11-5 ceilings with luminous eastern exposure, and iconic views over Park Avenue South. Designed to infuse each room with extraordinary natural light, 12A features massive projecting casement windows, including built-in window seats, an elegant Juliet balcony and floor-to-ceiling glass in the Great Room. Carefully conceived and crafted by world-renowned designer Piet Boon, this sophisticated sky home offers an open floorplan configuration, a light palette of natural Chambolle stone and brushed 8 wide oak plank floors, and signature millwork details throughout. Interior details exude an extraordinary level of craftsmanship: built-in dining banquettes, custom closet doors, paneled interior doors with recessed casing and concealed hinges, and custom Formani stainless steel door hardware. The contemporary kitchen features Bulthaup Alpine White cabinetry, refined 3 thick Chambolle marble slab countertop and backsplash from Belgium, Dornbracht fixtures, Miele appliances, and Franke undermount stainless steel sink. The spacious Master Bedroom suite features TWO large walk-in closets and a spa-level five-fixture master bathroom. 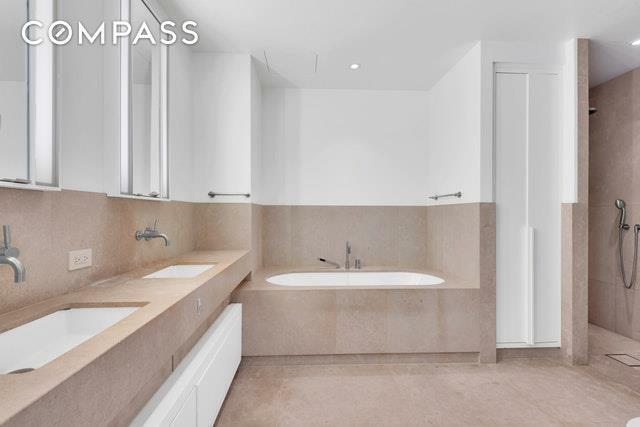 The Master bathroom details include highly durable Chambolle stone slab flooring and wall tiles, radiant heated floors by NuHeat, and Kaldewei soaking tub with Chambolle stone slab surround. The second bedroom also features built-in window seats and is lined with a wall of custom closets and an en-suite full bathroom details include: custom wire-brushed vanity millwork with lighting, Dornbracht fixtures, and Piet Boon Bathware by Formani. Additional conveniences include a meticulously appointed Powder Room, ample entry foyer lined by closets & storage, electric window treatments & washer/dryer in residence. Ideally situated at the corner of 28th Street and Park Avenue South, Huys pronounced House, Dutch for House and named after New Yorks first City Hall, Stadt Huys was completely re-envisioned in 2014 and converted to an exclusive collection of only 58 condominium residences by Kroonenberg Groep, a Dutch Developer, and world-renowned Dutch designer, Piet Boon. This 17-story loft masterpiece features an array of lifestyle amenities for residents to enjoy, including an expansive private roof terrace with kitchen and dining area, 24-hour concierge, state-of-the-art fitness center, resident lounge with media room & billiards, large childrens playroom, bicycle storage, private storage, laundry facility, cold storage and on-site resident manager. Pets permitted. 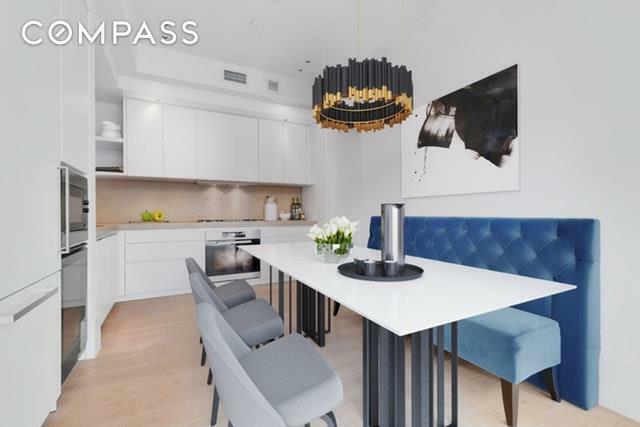 Location could not be any better: upon exiting the lobby onto Park Avenue South, the 6-train entrance is directly accessible on the corner of East 28th Street. Within immediate proximity are an endless number of attractions & neighborhood institutions including Madison Square Park, Gramercy Park, Eataly, Shake Shack, Mondrian Park Avenue, Gansevoort Park Avenue, The Edition, Equinox, Barrys Bootcamp, Scarpetta, & Eleven Madison Park. This is indeed the ULTIMATE residential experience.